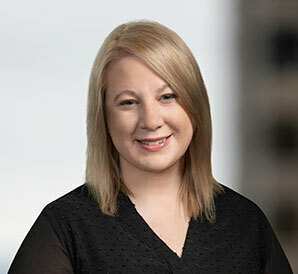 Megan is an associate in the Firm’s Tax & Business Planning Group. Her practice focuses on a wide range of federal tax issues, including a concentration on advising REITs and publicly traded corporations. Prior to joining Barack Ferrazzano, Megan regularly performed state tax due diligence reviews for prospective mergers and acquisitions, primarily on behalf of private equity clients. In addition, she identified potential tax risks associated with clients’ proposed transactions and post-acquisition action plans.